On the 27th June, 1997, a research report was published in the prestigious scientific journal ‘Science’ that would change the world of Parkinson’s disease research forever. And I am not exaggerating here. The discovery that genetic variations in a gene called alpha synuclein could increase the risk of developing Parkinson’s disease opened up whole new areas of research and eventually led to ongoing clinical trials of potential therapeutic applications. Todays post recounts the events surrounding the discovery, what has happened since, and we will discuss where things are heading in the future. It is fair to say that 1997 was an eventful year. In world events, President Bill Clinton was entering his second term, Madeleine Albright became the first female Secretary of State for the USA, Tony Blair became the prime minister of the UK, and Great Britain handed back Hong Kong to China. In the world of entertainment, author J. K. Rowling’s debut novel “Harry Potter and the Philosopher’s Stone” was published by Bloomsbury, and Teletubbies, South Park, Ally McBeal, and Cold Feet (it’s a British thing) all appeared on TV for the first time, amusing and entertaining the various age groups associated with them. Musically, rock band Blur released their popular hit song ‘Song 2‘ (released 7th April), “Bitter Sweet Symphony” by the Verve entered the UK charts at number 2 in June, and rapper Notorious B.I.G. was killed in a drive by shooting. Oh, and let’s not forget that “Tubthumping” (also known as “I Get Knocked Down”) by Chumbawamba was driving everybody nuts for its ubiquitous presence. And at the cinemas, no one seemed to care about anything except a silly movie called Titanic. Here at the SoPD we understand and are deeply sympathetic to the frustration felt by the Parkinson’s community regarding the idea of ‘200 years and still no cure’. As research scientists, we are in the trench everyday – fighting the good fight – trying to find ways of alleviating this terrible condition. And some of us are also in the clinics, interacting with sufferers and their families, listening to their stories and trying to help. While we do not deal directly with the day-to-day trials of living with Parkinson’s disease, we are keenly aware of many of the issues and are fully invested in trying to correct this condition. In our previous post – made in collaboration with Prof Frank Church of the Journey with Parkinson’s blog – we listed the major historical milestones and discoveries made in the Parkinson’s disease field during the last 200 years. The most striking feature of that time line, however, is how just little actually happened during the first 100 years. In fact for most of that period, Parkinson’s disease wasn’t even called ‘Parkinson’s disease’. Of the 48 events that we covered on that time line, 37 of them have occurred in the last 50 years (26 since 2000). Taking this line of thought one step further, 2017 is also the 20 year anniversary of the discovery of alpha synuclein‘s association with Parkinson’s disease. And what a remarkable 20 years that has been. In 1997, a group of researcher at the National institute of Health led by Robert Nussbaum reported the first genetic mutation in the alpha synuclein gene that infers vulnerability to Parkinson’s disease. identified multiple additional mutations within that same gene that increase the risk of developing Parkinson’s disease. determined which forms of alpha synuclein are toxic. identified alpha synuclein as an important component of Lewy bodies – the dense clusters of protein found in the Parkinsonian brain. discovered numerous methods by which alpha synuclein can be passed between cells – potentially aiding in the spread of Parkinson’s disease. developed and validated models of Parkinson’s disease based on manipulations of alpha synuclein (including numerous genetically engineered mice, viral over-expression models, etc). identified alpha synuclein in the lining of the gut of people with Parkinson’s disease and this has aided us in developing new theories as to how the condition may start. set up and run numerous clinical trials targeting alpha synuclein (and we eagerly await the results of those trials). published over 6200 scientific papers (don’t believe me? Click here) – that’s over 300 publications per year! And the truly amazing part? All of these particular achievements are only dealing with just the one gene: alpha synuclein. Since the identification of the alpha synuclein mutations, we have subsequently discovered genetic mutations in over 20 other genes that increase the risk of developing Parkinson’s disease. And we have conducted the same activities/experiments for most of those genes as we have for alpha synuclein. For example, in 2004 we discovered that people with genetic mutations in a gene called glucocerebrosidase (or GBA) had an increased risk of developing Parkinson’s disease. In 2016, just 12 years after that discovery we have started a clinical trial designed specifically for those people (Click here for more on this). We here at the SoPD are fully supportive of campaigns like #WeWontWait, and this post was not written (nor meant to be taken) as an excuse response to the ‘200 years and no cure’ frustration. I can understand how it may be read that way, but I did not know how else to write it. And I thought it needed to be written. The point of this entire post is that those 200 years need to be put into context. And while all of these words aren’t going to make life easier for someone living with Parkinson’s to deal with their situation, in addition to raising awareness this week I think it is important for the Parkinson’s community to also understand just how far we have come, and how fast we are currently progressing. The question can be asked: will this be the last major anniversary we acknowledge with regards to Parkinson’s disease? I sincerely think that there is cause to hope that it is. I have a good friend – let’s call him Matt. As a young boy, Matt remembers his grandfather having Parkinson’s disease. He remembers growing up watching the trials and tribulations that the old man went through with the condition. There were basically no treatment options when Matt’s grandfather was diagnosed and little in the way of support for the family. His grandfather’s body simply froze up as the disease progressed. L-dopa probably only became available to Matt’s grandfather during the latter stages of the disease. Four years ago Matt’s father was diagnosed with Parkinson’s disease. Thanks to scientific advances, however, Matt’s dad now has a wide range of treatment options on the medication side of things. The disease can be managed so that he can still play his golf and enjoy his retirement – in a way that his own father never could. He also has numerous surgical options once those medications lose their effectiveness (eg. deep brain stimulation, Pallidotomy, etc). The chances are very likely that Matt’s father will pass on by natural causes before he requires many of those additional options. This is the progress that we have made. But there is still a lot of work to be done of course. During a lunch shortly after his father’s diagnosis, Matt looked squarely across the table at me. Me, the Parkinson’s researcher. All of the usual jovial nature was missing from his face and he simply muttered the words ‘hurry up’. Whether he was speaking for his father, himself or his own young kids, I understood where his words were coming from and the sentiment. And, as this post and the previous post point out, we are hurrying up. For today’s post, we have teamed up with Prof Frank Church from the Journey with Parkinson’s blog to bring readers an ‘Introduction to the historical timeline on Parkinson’s disease’. The idea for this project started as a conversation between Frank and his partner Barbara during a recent weekend at the beach in North Carolina. However, to complete this project Frank felt it necessary to bring in some extra help in the form of a Parkinson’s expert. And when everyone else said they were too busy, Frank contacted us. Truly flattered, we immediately said yes. And the rest is history. We are happy to present the milestones in Parkinson’s disease research and discover, though we do apologise to the clinicians, scientists, health-care specialists, and their projects that were not cited here but we limited the timeline to ~50 notations. Below there are six panels outlining different stages of the history of Parkinson’s disease, and under each of them we have briefly described each of the events in the panel. In 1811, Mr James Parkinson of no. 1 Hoxton Square (London) published a 66 page booklet called an ‘An Essay on the Shaking Palsy’. At the date of printing, it sold for 3 shillings (approx. £9 or US$12). The booklet was the first complete description of a condition that James called ‘Paralysis agitans’ or shaking palsy. In his booklet, he discusses the history of tremor and distinguishes this new condition from other diseases. He then describes three of his own patients and three people who he saw in the street. Widely considered the ‘Father of modern neurology’, the importance of Jean-Martin Charcot’s contribution to modern medicine is rarely in doubt. From Sigmund Freud to William James (one of the founding fathers of Psychology), Charcot taught many of the great names in the early field of neurology. Between 1868 and 1881, Charcot focused much of his attention on the ‘paralysis agitans’. Charcot rejected the label ‘Paralysis agitans’, however, suggesting that it was misleading in that patients were not markedly weak and do not necessarily have tremor. Rather than Paralysis Agitans, Charcot suggested that Maladie de Parkinson (or Parkinson’s disease) would be a more appropriate name, bestowing credit to the man who first described the condition. And thus 70 years after passing away, James Parkinson was immortalized with the disease named after him. British neurologist Sir William Gowers published a two-volume text called the Manual of Diseases of the Nervous System (1886, 1888). In this book he described his personal experience with 80 people with Parkinson’s disease in the 1880s. He also identified the subtle male predominance of the disorder and provided illustrations of the characteristic posture. In his treatment of Parkinson’s tremor, Gower used hyoscyamine, hemlock, and hemp (cannabis) as effective agents for temporary tremor abatement. In the Parkinsonian brain there is a severe reduction in the chemical dopamine. This chemical was first synthesised in 1910 by George Barger and James Ewens at the Wellcome labs in London, England. One of the cardinal features of Parkinson’s disease in the brain is the presence of Lewy bodies – circular clusters of protein. In 1912, German neurologist Friedrich Lewy, just two years out of medical school and still in his first year as Director of the Neuropsychiatric Laboratory at the University of Breslau (now Wroclaw, Poland) Medical School discovered these ‘spherical inclusions’ in the brains of a people who had died with Parkinson’s disease. The first brain structure to be associated with Parkinson’s disease was the substantia nigra. This region lies in an area called the midbrain and contains the majority of the dopamine neurons in the human brain. It was in 1919 that a Russian graduate student working in Paris, named Konstantin Tretiakoff, first demonstrated that the substantia nigra was associated with Parkinson’s disease. Tretiakoff also noticed circular clusters in the brains he examined and named them ‘corps de Lewy’ (or Lewy bodies) after the German neurologist Friedrich Lewy who first discovered them. The most complete pathologic analysis of Parkinson’s disease with a description of the main sites of damage was performed in 1953 by Joseph Godwin Greenfield and Frances Bosanquet. Until the late 1950s, the chemical dopamine was widely considered an intermediate in the production of another chemical called norepinephrine. That is to say, it had no function and was simply an ingredient in the recipe for norepinephrine. Then in 1958, Swedish scientist Arvid Carlsson discovered that dopamine acts as a neurotransmitter – a discovery that won Carlsson the 2000 Nobel prize for Physiology or Medicine. In 1957, a nonprofit organisation called the Parkinson’s Disease Foundation was founded by William Black. It was committed to finding a cure for Parkinson’s Disease. Since its founding in 1957, PDF has funded more than $115 million worth of scientific research in Parkinson’s disease. In 1960, Herbert Ehringer and Oleh Hornykiewicz demonstrated that the chemical dopamine was severely reduced in brains of people who had died with Parkinson’s disease. Knowing that dopamine can not enter the brain and armed with the knowledge that the chemical L-dopa was the natural ingredient in the production of dopamine, Oleh Hornykiewicz & Walther Birkmayer began injecting people with Parkinson’s disease with L-dopa in 1961. The short term response to the drug was dramatic: “Bed-ridden patients who were unable to sit up, patients who could not stand up when seated, and patients who when standing could not start walking performed all these activities with ease after L-dopa. They walked around with normal associated movements and they could even run and jump.” (Birkmayer and Hornykiewicz 1961). In 1967, Melvin Yahr and Margaret Hoehn published a rating system for Parkinson’s disease in the journal Neurology. It involves 5 stages, ranging from unilateral symptoms but no functional disability (stage 1) to confinement to wheel chair (stage 5). Since then, a modified Hoehn and Yahr scale has been proposed with the addition of stages 1.5 and 2.5 in order to help better describe the intermediate periods of the disease. In 1968, Greek-American scientist George Cotzias reported dramatic effects on people with Parkinson’s disease using oral L-dopa. The results were published in the New England Journal of Medicine. and L-dopa becomes a therapeutic reality with the Food and Drug Administration (FDA) approving the drug for use in Parkinson’s disease in 1970. Cotzias and his colleagues were also the first to describe L-dopa–induced dyskinesias. When given alone levodopa is broken down to dopamine in the bloodstream, which leads to some detrimental side effects. By including an aromatic amino acid decarboxylase (AADC) inhibitor with levodopa allows the levodopa to get to the blood-brain barrier in greater amounts for better utilisation by the neurons. In the U.S., the AADC inhibitor of choice is carbidopa and in other countries it’s benserazide. Dopamine agonists are ‘mimics’ of dopamine that pass through the blood brain barrier to interact with target dopamine receptors. Since the mid-1970’s, dopamine agonists are often the first medication given most people to treat their Parkinson’s; furthermore, they can be used in conjunction with levodopa/carbidopa. The most commonly prescribed dopamine agonists in the U.S. are Ropinirole (Requip®), Pramipexole (Mirapex®), and Rotigotine (Neupro® patch). There are some challenging side effects of dopamine agonists including compulsive behaviour (e.g., gambling and hypersexuality), orthostatic hypotension, and hallucination. In the late-1970’s, monoamine oxidase-B (MAO-B) inhibitors were created to block an enzyme in the brain that breaks down levodopa. MAO-B inhibitors have a modest effect in suppressing the symptoms of Parkinson’s. Thus, one of the functions of MAO-B inhibitors is to prolong the half-life of levodopa to facilitate its use in the brain. Very recently in clinical trials, it’s been shown that MAO-B inhibitors have some neuroprotective effect when used long-term. The most widely used MAO-B inhibitors in the U.S. include Rasagiline (Azilect) and Selegiline (Eldepryl and Zelpar); MAO-B inhibitors may reduce “off” time and extend “on” time of levodopa. After successful preclinical experiments in rodents, a team of researchers in Sweden, led by Anders Bjorklund and Olle Lindvall, began the first clinical trials of fetal cell transplantation for Parkinson’s disease. These studies involved taking embryonic dopamine cells and injecting them into the brains of people with Parkinson’s disease. The cells then matured and replaced the cells that had been lost during the progression of the disease. In July of 1982, Dr. J. William Langston of the Santa Clara Valley Medical Center in San Jose (California) was confronted with a group of heroin addicts who were completely immobile. A quick investigation demonstrated that the ‘frozen addicts’ had injected themselves with a synthetic heroin that had not been prepared correctly. The heroin contained a chemical called MPTP, which when injected into the body rapidly kills dopamine cells. This discovery provided the research community with a new tool for modelling Parkinson’s disease. The gene Parkin provides the instructions for producing a protein that is involved with removing rubbish from within a cell. In 1998, a group of Japanese scientists identified mutations in this gene that resulted in affected individuals being vulnerable to developing a very young onset (juvenile) version of Parkinson’s disease. Using the injection of a small amount of radioactive material (known as a tracer), the level of dopamine present in an area of the brain called the striatum could be determined in a live human being. Given that amount of dopamine in the striatum decreases over time in Parkinson’s disease, this method of brain scanning represented a useful diagnostic aid and method of potentially tracking the condition. In 1991, actor Michael J Fox was diagnosed with young-onset Parkinson’s disease at 29 years of age. Upon disclosing his condition in 1998, he committed himself to the campaign for increased Parkinson’s research. Founded on the 31st October, 2000, the Michael J Fox Foundation has funded more than $700 million in Parkinson’s disease research, representing one of the largest non-governmental sources of funding for Parkinson’s disease. In 2003, German neuroanatomist Heiko Braak and colleagues presented a new theory of how Parkinson’s disease spreads based on the postmortem analysis of hundreds of brains from people who had died with Parkinson’s disease. Braak proposed a 6 stage theory, involving the disease spreading from the brain stem (at the top of the spinal cord) up into the brain and finally into the cortex. DJ1 (also known as PARK7) is a protein that inhibits the aggregation of Parkinson’s disease-associated protein alpha synuclein. In 2003, researchers discovered mutations in the DJ1 gene that made people vulnerable to a early-onset form of Parkinson’s disease. A small open-label clinical study involving the direct delivery of the chemical Glial cell-derived neurotrophic factor (GDNF) into the brains of people with Parkinson’s disease indicated that neuroprotection. The subjects involved in the study exhibited positive responses to the treatment and postmortem analysis of one subjects brain indicated improvements in the brain. Early onset Parkinson’s is defined by age of onset between 20 and 40 years of age, and it accounts for <10% of all patients with Parkinson’s. Genetic studies are finding a causal association for Parkinson’s with five genes: alpha synuclein (SNCA), parkin (PARK2), PTEN-induced putative kinase 1 (PINK1), DJ-1 (PARK7), and Leucine-rich repeat kinase 2 (LRRK2). However it happens, and at whatever age it occurs, there is no doubt that genetics and environment combine together to contribute to the development of Parkinson’s. In 2006, Japanese researchers demonstrated that it was possible to take skin cells and genetically reverse engineer them into a more primitive state – similar to that of a stem cell. This amazing achievement involved a fully mature cell being taken back to a more immature state, allowing it to be subsequently differentiated into any type of cell. This research resulted in the discoverer, Shinya Yamanaka being awarded the 2012 Nobel prize for Physiology or Medicine. The Movement Disorder Society (MDS) unified Parkinson’s disease rating scale (UPDRS) was introduced in 2007 to address two limitations of the previous scaling system, namely a lack of consistency among subscales and the low emphasis on the non-motor features. It is now the most commonly used scale in the clinical study of Parkinson’s disease. Postmortem analysis of the brains of people with Parkinson’s disease who had fetal cell transplantation surgery in the 1980-1990s demonstrated that Lewy bodies are present in the transplanted dopamine cells. This discovery (made by three independent research groups) suggests that Parkinson’s disease can spread from unhealthy cells to healthy cells. This finding indicates a ‘prion-like’ spread of the condition. Our understanding of the genetics of Parkinson’s is rapidly expanding. There is recent evidence of multiple genes linked to an increase the risk of idiopathic Parkinson’s. Interestingly, microtubule-associated protein tau (MAPT) is involved in microtubule assembly and stabilization, and it can complex with alpha synuclein (SNCA). Future therapies are focusing on the reduction and clearance of alpha synuclein and inhibition of Lrrk2 kinase activity. The ability to generate dopamine cells from skin cells derived from a person with Parkinson’s disease represents not only a tremendous research tool, but also opens the door to more personalized treatments of suffers. Induced pluripotent stem (IPS) cells have opened new doors for researchers and now that we can generate dopamine cells from people with Parkinson’s disease exciting opportunities are suddenly possible. Exercise has been shown to be both neuroprotective and neurorestorative in animal models of Parkinson’s. Exercise promotes an anti-inflammatory microenvironment in the mouse/rat brain (this is but one example of the physiological influence of exercise in the brain), which helps to reduce dopaminergic cell death. Taking note of these extensive and convincing model system results, many human studies studying exercise in Parkinson’s are now also finding positive benefits from strenuous and regular exercise to better manage the complications of Parkinson’s. In 2010, a European research consortium began a clinical study with the principal objective of developing an efficient and safe treatment methodology fetal cell transplantation in people with Parkinson’s disease. The trial is ongoing and the subjects will be followed up long term to determine if the transplantation can slow or reverse the features of Parkinson’s disease. Scientists in Sweden and New York have successfully generated dopamine neurons from human embryonic stem cells that can be successfully transplanted into animal models of Parkinson’s disease. Not only do the cells survive, but they also correct the motor deficits that the animals exhibit. Efforts are now being made to begin clinical trials in 2018. 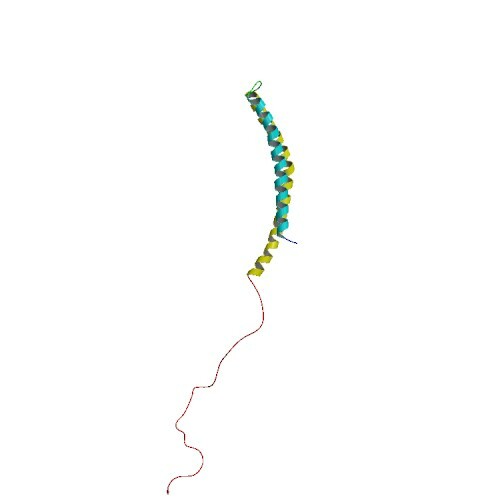 Several research groups have found the Parkinson’s disease-associated protein alpha synuclein in the lining of the gut, suggesting that the intestinal system may be one of the starting points for Parkinson’s disease. In 2016, researchers found that the bacteria in the stomachs of people with Parkinson’s disease is different to normal healthy individuals. In addition, experiments in mice indicated that the bacteria in the gut can influence the healthy of the brain, providing further evidence supporting a role for the gut in the development of Parkinson’s disease. Isradipine is a calcium-channel blocker approved for treating high blood pressure; however, Isradipine is not approved for treating Parkinson’s. In animal models, Isradipine has been shown to slow the progression of PD by protecting dopaminergic neurons. This study is enrolling newly diagnosed PD patients not yet in need of symptomatic therapy. Participants will be randomly assigned Isradipine or given a placebo. Approximately 50% of the people with Parkinson’s develop psychotic tendencies. Treatment of their psychosis can be relatively difficult. However, a new drug named Nuplazid was recently approved by the FDA specifically designed to treat Parkinson’s psychosis. Catechol-O-methyl transferase (COMT) inhibitors prolong the effect of levodopa by blocking its metabolism. COMT inhibitors are used primarily to help with the problem of the ‘wearing-off’ phenomenon associated with levodopa. Opicapone is a novel, once-daily, potent third-generation COMT inhibitor. It appears to be safer than existing COMT drugs. If approved by the FDA, Opicapone is planned for use in patients with Parkinson’s taking with levodopa who experience wearing-off issues. Nilotinib (Tasigna® by Novartis) indicates positive results in phase I trial. Nilotinib is a drug used in the treatment of leukemia. In 2015, it demonstrated beneficial effects in a small phase I clinical trial of Parkinson’s disease. Researchers believe that the drug activates the disposal system of cells, thereby helping to make cells healthier. A phase II trial of this drug to determine how effective it is in Parkinson’s disease is now underway. International Stem Cell Corporation is currently conducting a phase I clinical cell transplantation trial at a hospital in Melbourne, Australia. The company is transplanting human parthenogenetic stem cells-derived neural stem cells into the brains of people with Parkinson’s disease. The participants will be assessed over 12 months to determine whether the cells are safe for use in humans. Neuropore Therapies is a biotech company testing a compound (NPT200-11) that inhibits and stablises the activity of the Parkinson’s disease-associated protein alpha synuclein. This alpha-synuclein inhibitor has been shown to be safe and well tolerated in humans in a phase I clinical trial and the company is now developing a phase II trial. Prexton Therapeutics recently announced positive phase I clinical trial results for their lead drug, PXT002331, which is the first drug of its kind to be tested in Parkinson’s disease. PXT002331 is a mGluR4 PAM – this is a class of drug that reduces the level of inhibition in the brain. In Parkinson’s disease there is an increase in inhibition in the brain, resulting in difficulties with initiating movements. Phase II clinical trials to determine efficacy are now underway. Following remarkable results in a small phase I clinical study, the recent history of the neuroprotective chemical GDNF has been less than stellar. A subsequent phase II trial demonstrated no difference between GDNF and a placebo control, and now a second phase II trial in the UK city of Bristol has reported initial results also indicating no effect. Given the initial excitement that surrounded GDNF, this result has been difficult to digest. Additional drugs that behave in a similar fashion to GDNF are now being tested in the clinic. Immunotherapy is a treatment approach which strengthens the body’s own immune system. Several companies (particularly ‘AFFiRis’ in Austria and ‘Prothena’ in the USA) are now conducting clinical trials using treatments that encourage the immune system to target the Parkinson’s disease-associated protein alpha synuclein. Both companies have reported positive phase I results indicating the treatments are well tolerable in humans, and phase II trials are now underway. A New Zealand company called Living Cell Technologies Limited have been given permission to continue their phase II clincial trial of their product NTCELL, which is a tiny capsule that contains cells which release supportive nutrients when implanted in the brain. The implanted participants will be blindly assessed for 26 weeks, and if the study is successful, the company will “apply for provisional consent to treat paying patients in New Zealand…in 2017”. MAO-B inhibitors shown to be neuroprotective. MAO-B inhibitors block/slow the break down of the chemical dopamine. Their use in Parkinson’s disease allows for more dopamine to be present in the brain. Recently, several longitudinal studies have indicated that this class of drugs may also be having a neuroprotective effect. Many people with Parkinson’s disease have issues with swallowing. This makes taking their medication in pill form problematic. Luckily, a new inhalable form of L-dopa will shortly become available following recent positive Phase III clinical trial results, which demonstrated a statistically significant improvements in motor function for people with Parkinson’s disease during OFF periods. Exenatide is a drug that is used in the treatment of diabetes. It has also demonstrated beneficial effects in preclinical models of Parkinson’s disease, as well as an open-label clinical study over a 14 month period. Interestingly, in a two year follow-up study of that clinical trial – conducted 12 months after the patients stopped receiving Exenatide – the researchers found that patients previously exposed to Exenatide demonstrated significant improvements compared to how they were at the start of the study. There is currently a placebo-controlled, double blind phase II clinical trial being conducted and the results should be reported before the end of 2017. As I suggested at the start of this post, this endeavour was entirely Frank’s idea – full credit belongs with him. I was more than happy to help him out with it though as I thought it was a very worthy project. 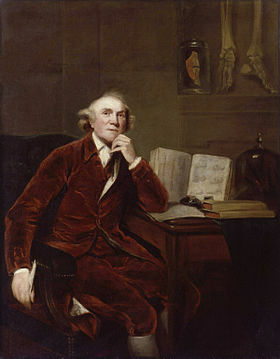 During this 200 year anniversary, I believe it is very important to acknowledge just how far we have come in our understanding of Parkinson’s disease since James first put pen to paper and described the six cases he had seen in London. And Frank’s idea perfectly captures this. Our policy at the SoPD is not to advertise or endorse commercial products or services. This is to avoid any ethical or conflict of interest situations. Every now and then, however, we see something that we believe will be of interest and value to the Parkinson’s community…aaand we bend our policy rule book. 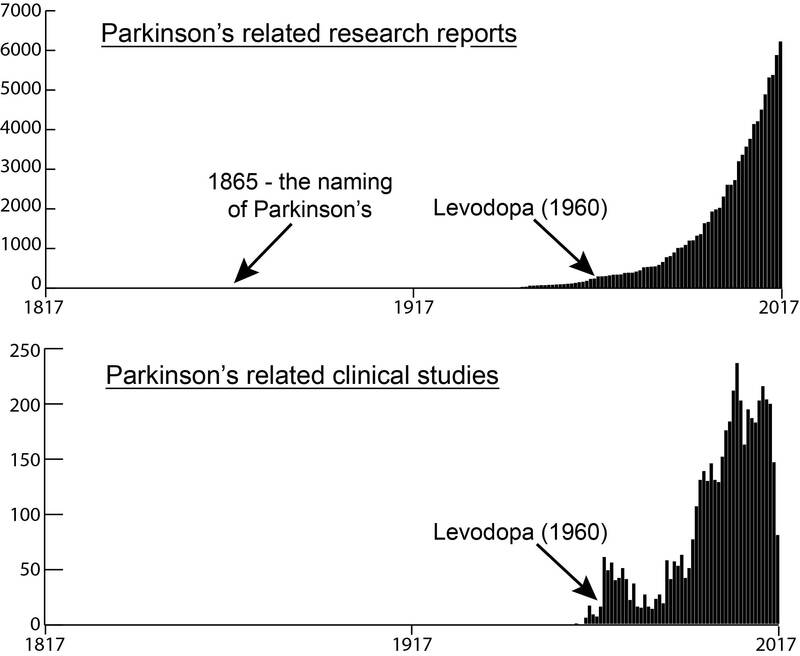 Today the Journal of Parkinson’s disease released a “200 years of Parkinson’s disease” OPEN ACCESS special issue of their journal which highlights some of the major discoveries in the field of Parkinson’s disease research. Critically, the articles provide insights into how the discoveries were made, and they are written by some of the biggest names in the Parkinson’s research community (many of whom were actually there when the discoveries were made). Click here to see all of the articles in this special issue. We fully recommend readers take advantage of this OPEN ACCESS issue and learn about how some of these great discoveries were made. Full disclosure: The Journal of Parkinson’s disease is a product of IOS Press. The SoPD has not been approached by or made any offers to IOS Press or anyone at the Journal of Parkinson’s disease. We merely thought that the material in this particular OPEN ACCESS issue would be of interest to our readers.